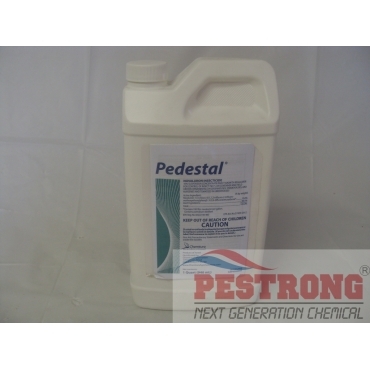 Where to Buy Pedestal IGR, Pedestal Insect Growth Regulator (IGR) - Qt - $264.95 for Sale with Fast Free Shipping! Pedestal Insect Growth Regulator (IGR) - Qt is effective in controlling a variety of insect pests on ornamental plants. As a result of its unique chemistry and specific mode of action, Pedestal provides the grower with an effective tool for Intergrated Pest Management (IPM) and resistant management programs. Larval, nymph or immature stages of thrips, whiteflies, armyworms and suppression of leafminers. Control of insect pests on container and field grown ornamentals in greenhouses, shadehouses, and nurseries. We had previously purchased the FMC Mop UP Insecticide-25lb about a year ago. The product worked so well, that we doubled our order this year and plan to have it available for use for our other customers as well. We used the product specifically in a very high traffic area where locker and shower rooms are located. This moist area has always been a problem area for bugs, nats and flies. The product worked beautifully. We used very little of the product so it lasts for quite a while. We are no longer searching for a solution. We found what works with the FMC Mop UP Insecticide.